Patent examiners help companies to innovate and grow by granting high quality, valid patents. Patent examiners look at both the technical and legal aspects of a patent application. They compare the new invention against those found in patent databases to decide whether to grant a patent. We are seeking people with highly developed analytical and critical skills and the communication skills necessary to express complex technical and legal arguments. You will also need strong oral communication skills to communicate effectively with colleagues and customers. We need candidates who are self-motivated and willing to take responsibility for their own decisions. Patent examiners salaries currently start at £29,061 including a £3,030 recruitment and retention allowance. Posts in telecommunications receive a further £4,040 allowance, bringing the starting salary to £33,101 for these posts. Full details of the role and how to apply are available on the Civil Service jobs website. The closing date for applications is 6 May 2019. For more information please email adminvacancies@ipo.gov.uk. 15 April 2019 New patent examiner vacancies specialising in electrical and electronic engineering, telecommunications engineering, computer systems engineering, mechanical engineering, computer science, physics and mathematics added. 5 February 2018 New patent examiner vacancies specialising in biotechnology, chemistry and electrical/electronic engineering added. 10 February 2017 New patent examiner vacancies specialising in biotechnology, chemistry and electrical/electronic engineering added. 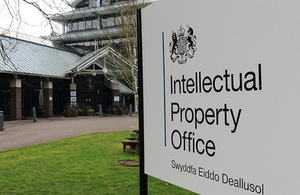 2 June 2016 The Intellectual Property Office is recruiting 2 patent examiners specialising in biotechnology to start 5 September 2016. 20 May 2016 Email address updated to adminvacancies@ipo.gov.uk. 1 February 2016 New round of patent examiner recruitment and dates for careers fairs added. 8 October 2015 Information on new patent examiner recruitment and career fairs added. Closing date for applications is 29 November 2015. 14 October 2014 First published.